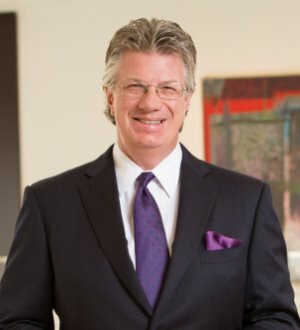 Tod is a seasoned first-chair trial lawyer with expertise in securities, investment advisory and executive and professional liability matters (both civil and criminal), who consistently gets great results for his clients in complex, high-dollar matters across the country. He has acted as lead counsel in cases and arbitrations in 21 states and counting. Tod is a Partner in the Firm’s Securities Litigation Group and is one of the Group’s specialists in broker-dealer and investment advisory litigation, arbitration, regulatory counseling and representation. Tod regularly speaks and writes on the topics of arbitration, securities litigation, and SEC regulatory issues and trends. In June 2004, Tod traveled to Dubai, U.A.E., to present a four-day program on securities enforcement and market oversight along with representatives of the SEC and the Dubai Financial Services Authority. In September 1997, Tod spent two weeks in Croatia as part of a Financial Services Volunteer Corps’ independent expert assessment team evaluating shareholder rights following that country’s privatization effort, and then provided commentary and proposed revisions to the Varazdin, Croatia OTC Market Surveillance and Enforcement Rules in March 1999.